This evening gives an overview of our music, Spanish, PE, Computer and Art programs as well as the Montessori curriculum. The meeting will begin promptly at 6:00 PM in the Eagle’s classroom with an hour presentation from Mr. Short, Ms. Carette, Ms. Rendon, and Mr. Rehkopf. They will briefly go over their curriculum and share their passion. At 7:00 PM, the Montessori curriculum portion of the evening starts. Families will either remain in the Eagles room for the Lower Elementary presentation, move to the Owl’s for the Upper Elementary presentation or to one of the Early Childhood classrooms for their presentation. 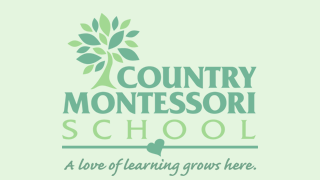 This is a wonderful opportunity to learn more about Country Montessori’s School’s curriculum of all Montessori programs and classes. It is required for all new CMS families. Please make sure to turn around in the cul- de- sac on Monte Vista and avoid making u-turns or turning left out of the parking lot during arrivals and dismissals. Please do not reverse when in the parking lot during the arrival and dismissal process. Date Night has returned! Are you in need of a night out without the kids? Or maybe just a peaceful night in? Well then bring your child(ren) to Date Night at CMS! Date Night is a monthly event hosted by Ms West and Ms Bohn where the children come to the school to enjoy outside play, structured activities, games, dinner and a movie! Each month there is a different theme that all activities, games and movie is structured around. Your child(ren) will love Date Night, and so will you! To sign your child up, please fill out the form (available on RenWeb). The first Date Night is this Friday, September 28th from 6-9:30. This theme is Minute to Win-it; a night based off of the international game show where contestants have to do a series of 60 second challenges using basic household objects. Future Date Night dates are October 19th, November 30th and December 14th. To sign up for all other after school classes please check on your RenWeb parent portal. Maria Montessori compared the child to the life of a butterfly. The changing traits are not as clear in the child as they are with the insect. Each stage is like that of a “rebirth” of the child. A new stage, a different child who presents characteristics different from those he exhibited during the preceding years. The first plane of development applies to the small child from birth to age six. The child of this period is like an absorbent sponge and learns from the surroundings. Many physical developments occur during this time. The child likes a sense of order, everything has a place and is returned to that place. The child is gaining independence over his environment through practical life activities. During this stage the child wants facts and reality. During this stage the environment should provide materials for the child. Education at this age is not a direct continuation of what has previously been taught, although it may build on that foundation. This age child becomes more socially conscious and wants to know the reason for things. This is the stage of the reasoning mind. The child wants to know why things work the way they do and how things function. This is also the period of physical strength; the child has yet to reach puberty and adolescence. In the second plane of development the child is venturesome and daring. The first two planes of development are ones of transformation. Enters this phase ready to learn and grow, eventually preparing to leave the family and become a part of society. Obvious physical as well as social and psychological changes are occurring. During this stage the young adult provides service to humanity, which can include finding their vocation. The third plane sees the child form himself as an adult. The university years when the young adult is assimilating and developing the adult personality and role mark this plane of development. Once you know the planes of development you can better meet the needs of your child, regardless of age.